The Gramineae (grass family) are arguably the most successful family of the flowering plants or Angiosperms. The grasses are extremely important to human beings, as the family includes: wheat (shown above), barley, oats, maize and rice – all of which are vital foods across the world. Due to being cultivated by humans, grasses have replaced the native vegetation in many parts of the world. Over 50% of the human world’s daily calorie intake comes from the Gramineae, particularly rice, wheat, maize, sorghum and millet. Recent trials have also shown that oats and other kinds of grain may help to lower cholesterol levels, and thus reduce the likelihood of coronary heart disease, and some types of cancer. Many of us are not aware that grains contain all the major nutrient groups: carbohydrates, proteins, fats, vitamins, minerals plus of course fibre. 100 g of red winter wheat for example contains 71 g of carbohydrate, 12.6 g of protein, 12.2 g of dietary fibre, 1.5 g of fat and 3.2 mg of iron. When comparing modern grains to ancient grains, it has been found that ancient grains may have been even more nutritious. Bamboo is also part of the grass family, and is usually found in warm or tropical regions. Bamboos are the tallest in the grass family as they can sometimes grow up to a height of 30 metres. Bamboo has many commercial uses, such as in manufacture of furniture, paper, water pipes and scaffolding, and is also used for fuel. Bamboo scaffolding is thought to be better at withstanding strong winds than comparable steel scaffolding. Bamboo shoots are eaten as a vegetable, and bamboo grains are eaten locally in several parts of the world. 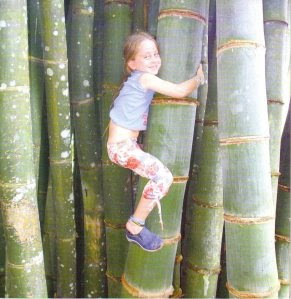 There are many different species of bamboo in the genus Bambusa. There are between 9,000 and 10,000 species of grasses, many of which are of use to humans. Grasses are used as animal feed, either for direct grazing or for straw or silage. They are also cultivated as lawns and as coverings for the playing surfaces of pitches for sports such as football, tennis, golf, cricket, rugby, GAA and baseball. Ornamental grasses are sold in garden centres and grasses can also be used to make biofuel and as thatching for roofs. 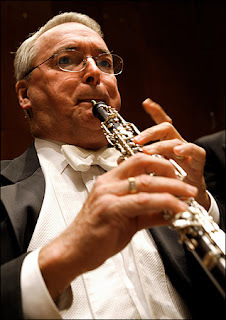 Arundo donax is a grass from which ‘reeds’ for woodwind instruments are made. Grasses grown for their seeds to be eaten are called cereals. Rice is the staple cereal in south and east Asia, maize in Central and South America, and wheat and barley in Europe and northern Asia. 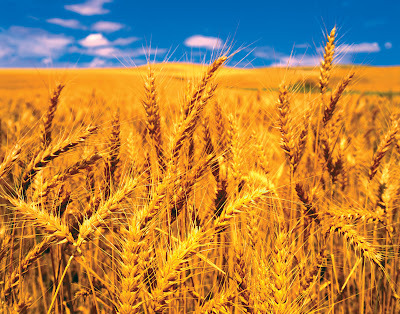 Wheat for example is used to make flour for bread and pasta, and can be fermented to make beer and vodka. One side effect of wheat consumption is coeliac disease – a condition resulting from a response of the immune system to a protein found in wheat called gluten. This condition seems to be particularly common in Ireland, especially in the west of the country – possibly due to ancient genetic migration patterns of human populations. awesome, thanks for referencing Ireland so much! Well we are from Dublin don't you know!